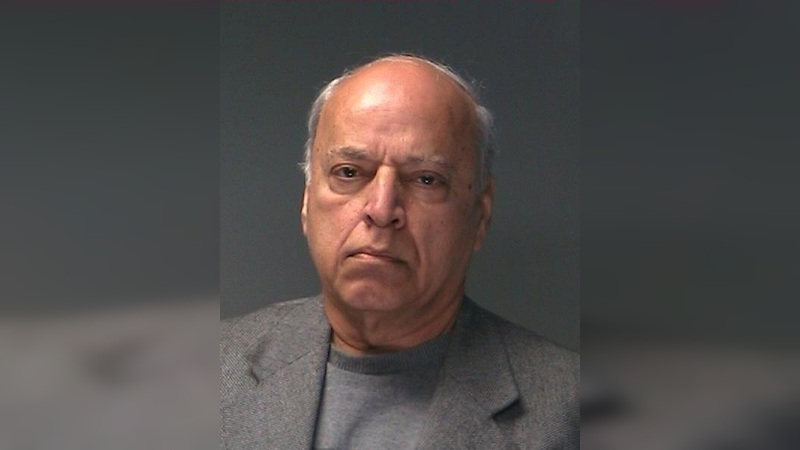 HUNTINGTON STATION, New York (WABC) -- Police in Suffolk County arrested a dentist for allegedly touching a female patient's breast while giving her an exam. It apparently happened last month at Family Dentistry on New York Avenue in Huntington Station. The victim says that she attempted to remove Dr. Aziz Khan's hand, but he kept it on her breast. She says the 65-year-old then put his hand on her other breast and squeezed. The victim spoke up and that's when took his hands off of her. The dentist was arrested on Friday at his office and charged with forcible touching. Khan was released on bail and is scheduled to be arraigned at First District Court in Central Islip on January 10, 2017.